Home BUSINESS Humans of Thika. OPINION An open letter to Kenya Mpya Ltd.
Thika is a brand in Kenya and its most prominent emblem has always been the Chania Falls, industries and pineapples. However of late a new kid on the block is Kenya Mpya. As a resident of Thika I always feel a sense of belonging when aboard the bus. 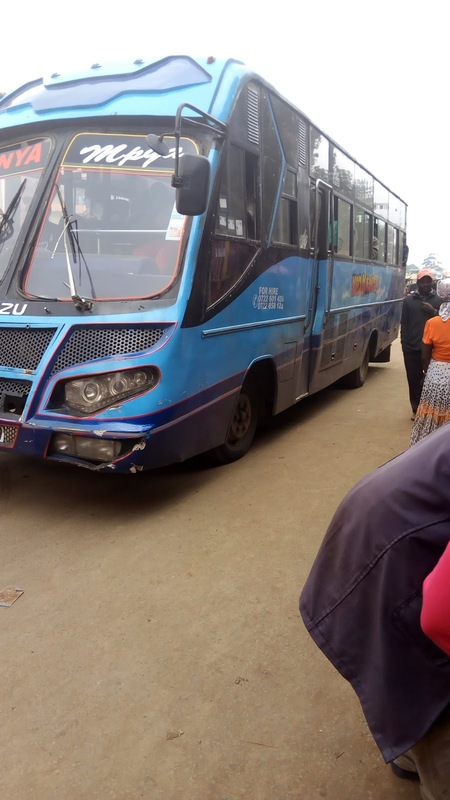 Whenever I see the bus outside Thika town it reminds me of home, am always tempted to go near and say hallo to the crew and send them home with greetings. You see when you entered the industry in Thika, you were subjected to a lot of animosities and negative campaign. It was almost certain that your entry was most unwelcome. The industry was so hostile, your survival was very slim. However, you fought gallantly. What attracted me and other loyalists is your commitment to offer unequaled service to your customer. Despite the war you continued to protect your customers. You won the war in two fronts, your nemesis accepted defeat and your customers were won by your services, the latter being the most important win in my opinion. You went into it with all that you got, you introduced very many new and very comfortable buses and painted Thika town and Thika road blue. To the delight of the passengers you gave them hope, you renewed their strength in pursuit for a comfortable life outside the city. Shortly, you turned nasty, one accidents after another and multiple cases of indiscipline. Your crew lost touch with their customers and things were headed to the dogs. Somehow, you woke up from the slumber and corrected that mess. Thank God. For over one year now, you have been a darling to many passengers and a menace to your competitors, you see, your buses have established a relationship with its clients. These two assurances were not guaranteed by most of your nemesis. This is in addition to the fact that overloading was unheard of in your bus. To reinforce this you had even put a warning to the passengers against overloading. This grew the brand, loyalty also blossomed. Some of us became your greatest campaigners. You won the heart of many. Some of your crew perfected the art of service with the climax of one mukurino conducted praying for journey mercies and wishing us safety and success in the day's endeavours. That's service beyond money. Am sure you don't pay your crew to pray for us and wish us well. You became a Brand that many were proud to be associated with. I personally would tell my friends that I live where Kenya Mpya terminates. To establish a brand is not an easy task, it takes serious investment in human capital, financial capital and social capital. Some of us still refer to Limbo when we mean cooking fat or Omo when we mean detergent. Sustained growth of your brand may lead to this generation referring to Kenya Mpya when they mean a bus. However, you rebranded! You are now 'three buses in one location'. Under this new brand(s) it’s all system go! Competition among your buses have reached fever pitch, discipline among the crew is slowly on a down trend. Overloading is becoming normal. The quarrels between your crew and passengers are becoming common. The office telephone numbers that were printed in all the buses are no longer there (have been deleted), the overloading signs are no longer existing. Simply put, this new you is 'Fake'. You and I know the real YOU. The reliable, dependable, trustworthy, time conscious, peaceful and service driven YOU. When I said the win on the passengers is the most important win I meant it. You cannot afford to lose your clients if you want to grow your brand. Despite the overwhelming win over your competitors, others are watching and may borrow dome of your strengths and build on them. Therefore you must try to maintain a step ahead of the competition. The 'new' brand that we are seeing is a demeanor to the brand you had become. I have no problem with the two business names operating under your management, (and I have very little information about the new 'Joy') however the bottom line in service delivery must be maintained. We don't need to know the different franchises operating under you, but you cannot afford to compromise service delivery. 1) You may choose to ignore the declining service delivery standards and wait for the repercussions. 2) You may choose to wake up to the smell of the coffee and repeat what you once did and salvage and refocus your Brand. Am sure the second option seems more acceptable, but the ball us in your court. Mine was simply give unsolicited advice. You will have to make a choice at a point in time, my prayer is that it will not be too late.